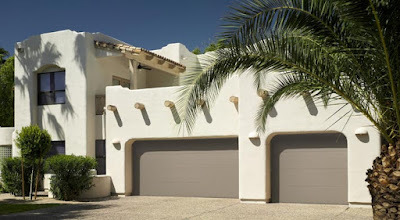 Maui Garage Doors has partnered with Amarr, the nation's leading sectional garage door company, for a long time, and as Maui's only authorized dealer and service center we've installed and maintained a countless number of quality residential and commercial Amarr doors. We're proud to have this relationship, and we're excited this month to showcase one of their best steel sectional doors, the Heritage Collection. In testament to its craftsmanship, the Heritage Collection is one of the most affordable doors to offer a lifetime warranty on the paint finish (1000 and 2000 series), and a lifetime warranty on both the paint finish and hardware in its 3000 series. The Heritage Collection's 2"-thick doors come in single-, double-, and triple-layer steel, ranging from non-insulated 24-gauge steel, to a vinyl-backed layer of 6.64 R-value polystyrene insulation, to the impressive 9.05 R-value insulated and 27-gauge steel-backed 3000 series, respectively. 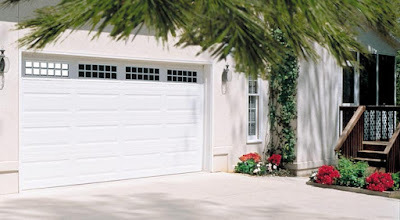 These doors are made in the USA, and the combination of quality components and construction, backed with the limited lifetime warranty, allows for true peace of mind. When installed by our expert technicians, routine maintenance is all it takes to ensure these doors will be welcoming you and your ohana home for generations. Like the Stratford Collection, one of our most popular steel sectional doors, the Heritage Collection can be customized in a variety of styles, colors and finishes, and window openings. Looking for something to perfectly match your unique home? The 3000 series can even be finished in a convincing oak, walnut, or mahogany woodgrain pattern, offering the style and elegance of wood without the weight or upkeep. In nearly all cases we'll have your door on-island and installed in 6-8 weeks from the time of order. During the month of September we're offering these dynamic and durable doors at an unbeatable price: save $50 on a single-car door and $100 on a double-car door, when purchasing a complete install package of door and operator. Call 871-8888 to schedule your FREE estimate and mention this post to lock in this special rate!